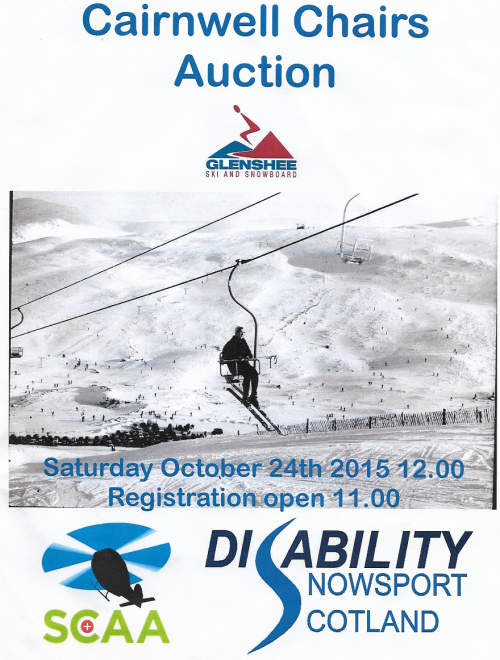 This was the auction of chairs from the “famous” Cairnwell chairlift, also known and the Tiger chair, as it led to the hardest run at Glenshee Ski Centre, “The Tiger”. More pictures can be seen of the ski centre over the years in the Gallery section of the website. This page was added by Sally Gingell on 08/02/2016.